Nelson is home to the iconic beach Tahunanui, a popular and favourite summer spot among locals and visiting tourists. Supporting surroundings include children’s playgrounds, sports grounds and leisure parks. Among these assets is the Tahunanui Youth Park, a popular space for families to socialize and play sports. Nelmac was approached to improve the surrounding landscape architecture with an ultimate goal of increasing active play and passive socialising for the underrepresented 11 – 17yr old group. Following consultation with the Nelson Youth Council, activity features, geometric climbing blocks, a spin disc and look-out were installed on the site along with a half-size basketball court, performance space and evolving graffiti art installation. 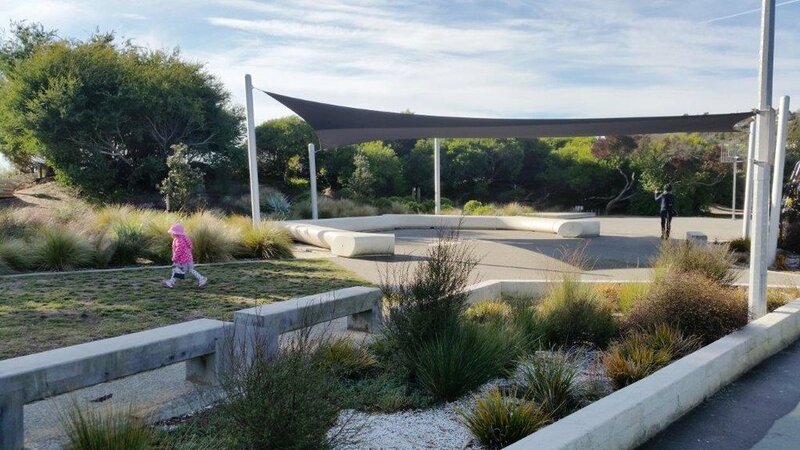 Landscape enhancements included an extension of the existing coastal planting scheme, additional seating, access paths and shading – all of which have succeeded in integrating the Youth Park into the larger recreation environment. During the project, Nelmac Professional Services undertook public consultation and prepared concept designs, and contract documentation.